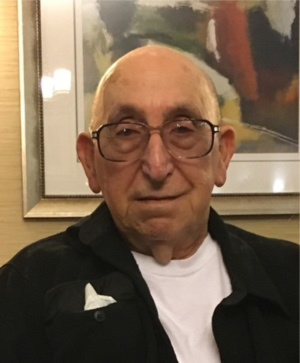 Frank C DeGeorge, 83, passed away peacefully on Thursday, March 21, 2019 surrounded by his family, at Manor Care, Lancaster PA.
Born March 23, 1935 in Lebanon PA, he was the son of the late Dominic DeGeorge and Raphaelina (DiCarlo) DeGeorge. He was the husband of Jo Ann (Hinkle) DeGeorge of Landisville, who he celebrated 45 years of marriage with in January of this year. He is also survived by his six children; Angela, wife of Wayne Hoover of Strasburg, James Sauer, of Mt Joy, Ann, wife of Cory Anderson, of Denver, Colorado, Annette DeGeorge of Lancaster, Frank C DeGeorge Jr. husband of Lori, Ephrata, and Amanda, wife of Martin Conroy, Landisville. He is also survived by 12 grandchildren; Stephanie Hoover Michael, Nicholas Hoover, Michelle Hoover Hershey, Jaime Hoover, Ashlyn Sauer, Devin Sauer, Miles Anderson, Cole Anderson, Morgan DeGeorge, Daimien Hartranft, Aubrey Conroy, and Alyssa Conroy. He is also survived by five great grandchildren. Frank served four years honorably as an Airman in the USAF, including one overseas tour in Germany. He spent much of his life as an HVAC technician, working for several companies in the Lancaster Area, and also working with for his son-in-law in the automotive and towing industry. Frank enjoyed spending time with his family, eating, watching Nascar Racing, and collecting Hess Trucks. If desired, in lieu of flowers, donations toward funeral expenses can be made in honor of Frank and sent to Debord Snyder Funeral Home, 141 E. Orange Street, Lancaster, PA 17602. Internment and military honors ceremony will be held Wednesday, March 27, 2019 at 11am, at Indiantown Gap National Cemetery, Annville PA.
Hi Angie ,So sorry about your dad.Please send your mom my thoughts and prayers also.Dont know if she’ll remember me. I am so sorry for your loss. Your father was an amazing man who inspired and encouraged me during the hardest years of my life. He will be greatly missed! Condolences to the DeGeorge family. Our thoughts and prayers go out to your whole family. Psalms 147:3 says God, “heals the broken hearted, and binds up their wounds.” May God bring you comfort and peace.